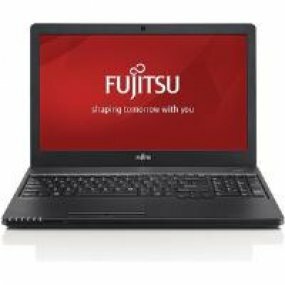 The FUJITSU Notebook LIFEBOOK A555 is solid and reliable with a 39.6 cm (15.6-inch) anti-glare display for comfortable viewing, even outdoors. Complete your daily tasks at home or in the office or watch media on your TV with HDMI. Charge your mobile devices, even in off-mode with the Anytime USB Charger. Mobility is yours with integrated WLAN and Bluetooth and comfortable working with the number pad keyboard.